« 2018 Off with a Bang! Wow!!! �Just wow!!! �The WGFA team dropped the hammer on its competition at USF’s annual “Oktoberfence”! �Although the season started in August, this was the first tournament we hit as a group, and others took notice! Let’s start with the A2 classified, Open Mixed Foil event. �Of the 36 competitors, 4 D-rates and an E represented the academy. �Jared was also there as part of the UF team :). 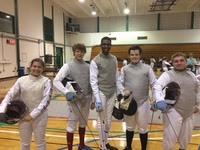 �This event was strong, having three A’s, four B’s and a slew of lower rated fencers. �Our entire team advanced from the round of 64 to 32! �Slowinski and Doane pushed their way into the next round after tough bouts, 15-12 and �15-13 respectively. �Slowinski also defeated a top-rated A fencer in her pool, but was later knocked out by the same guy, 11-15. �Doane was eliminated by a Naples fencer who eventually finished the event with gold. �Our folks fenced with so much heart and proved their worth. 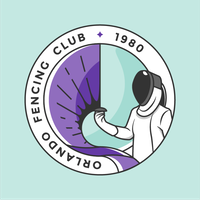 �Their ability to defend themselves against these higher-level fencers is improving all of the time. �Slowinski finished 9th and Done in 13th. WGFA really shined in the DIV3 Mixed Foil event! �For those unfamiliar with the event categories, DIV3 is also called D/Under. �It means that no fencer with a competitive rating above a D may fence in the event. �The highest rating that can be awarded by this category is a C for first place and our people were on the hunt! 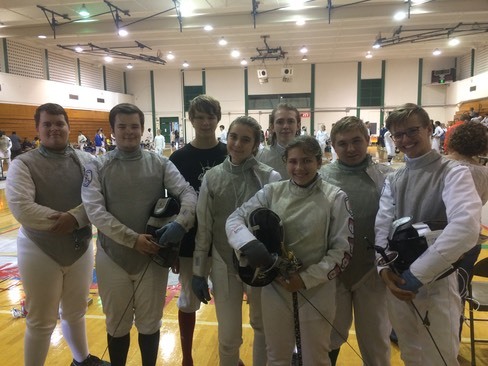 Nine of our fencers competed in this C2 classified event of twenty-nine. �Rau, Doane, and Slowinski all took first in their pools of five and advanced to the quarters, �Lewis took 2nd in his pool and made it to the round of 16. �The rest of the team was comprised of lesser experienced and brand new competitors who scored touches and wins throughout the morning. By the quarters, we were fencing ourselves! �Slowinski took out Doane in a close fight, 15-12. 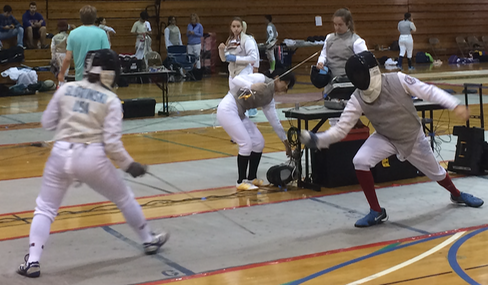 Rau was sent packing by a Naples fencer, 9-15, who then lost to Slowinski in the semi-finals, 15-10. �The real nigh-biter was the final bout … Slowinski versus Tate, a former C rated fencer from the west coast now off to college. �The lead went back and forthe throughout the bout, until Slowinski was poised to win at 14-13. �Tata then managed to tight the score with a little bit of in-fighting and well palced flick. �Although we plead with Slowinski to relax and not force the touch, she charged Tate and missed. �Tate took advantage and the gold. It was a great day, indeed, and we are so proud of our entire team. �They serve as a shining example for those now in basic training. Keep up the good work and see you in class! !